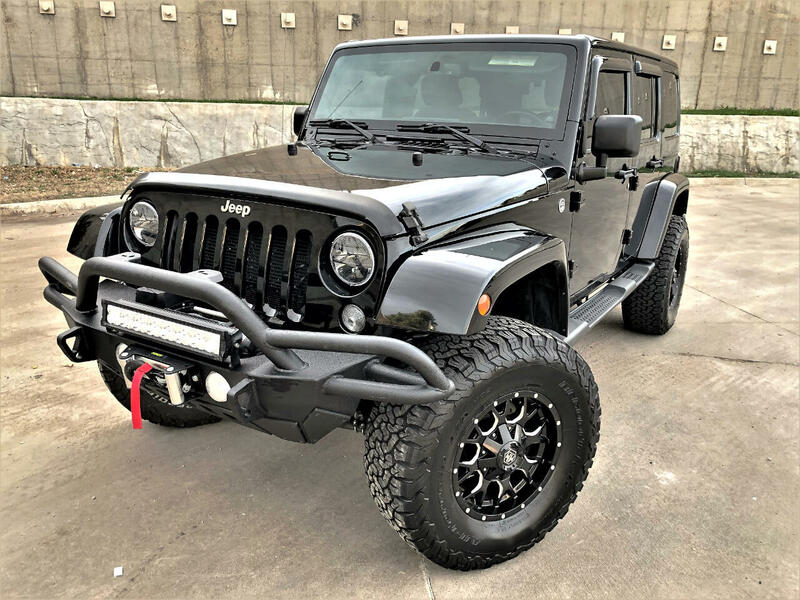 Truck Kings Custom 2013 Wrangler Unlimited Black ON Black Sahara ???? *** The PERFECT Sahara for comfortable day to day use with more off-road capability than stock, topped off with looks that KILL! Featuring: Clean Interior with Heated Seats, Power Windows, Power Locks, Power Mirrors, Removable Hard Top with Rear Wiper, Navigation System with Voice Command and Hands Free Wireless, Infinity Sound System with Subwoofer and Steering Wheel Controls, Tow Package, Fog Lights, Matching Spare, Recovery Hooks, Hill Crushing 285 Horsepower 3.6 Liter Pentastar V6, Trail Crawling 6-Speed Manual Transmission, On the Fly 4 Wheel Drive and much more!